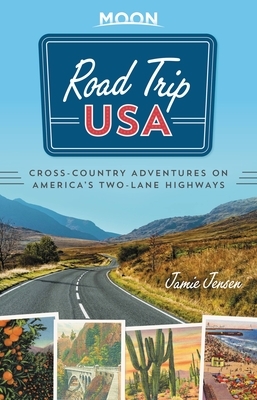 Criss-cross the country on America's classic two-lane highways with Road Trip USA! Road Trip USA celebrates the great American road trip, and gives you the tools, resources, and inspiration to make it your own. Jamie Jensen was immersed in road trip culture from an early age. He grew up in Southern California, back when freeways were new, cheeseburgers cost a quarter, and every beach had a beachfront amusement park. After a three-year stint bumming around the country, making hay in Kansas, and ghostwriting a book for the Grateful Dead, Jamie set to work researching and writing Road Trip USA. Since then he's traveled more than 400,000 miles in search of the perfect stretch of two-lane blacktop. When not crisscrossing the country by car, he rides his bike whenever possible. Jamie lives with his wife, Catherine, and twin boys, Tom and Alex, in New York City, at the east end of the Lincoln Highway.